This elegantly designed round coffee table with its lightly flared legs and inlaid round glass top is an excellent addition to your living room or family room. 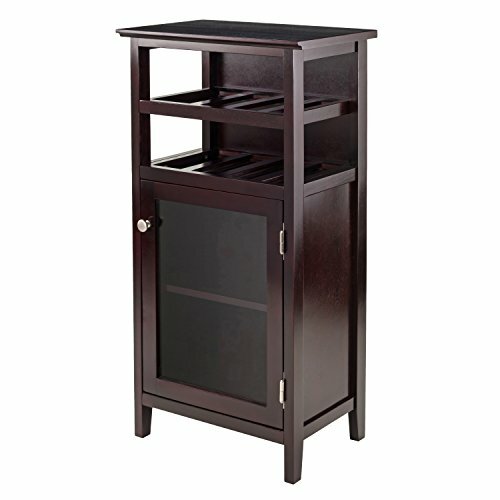 The subtle designs blend in with most styles of décor and the bottom shelf provides you with extra storage. Pair this with the rest of the Genoa Collection to complete the look of any room in the house. The overall size of the table is 30"W x 30"D x 18"H and has a shelf dimension of 26.75"W x 26.75"D with a clearance of 9.1". Made from solid and composite wood in dark espresso finish. Assembly required.